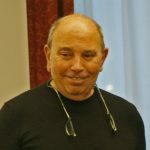 Mr. Moncef Bouhafa is a strategic communication expert with more than three decades of experience in the field of communication; he is currently director and founder of the Center for Development Communication. Combining strategic planning and training skills, Mr. Bouhafa has worked with international agencies, civil society and governments to advocate on a range of public issues related to governance and civil society, economic reform, violence against women and children’s rights among others. He has special skills in training senior officials to develop communication outreach especially through the media. He has designed and implemented training courses in Asia, Africa, Europe and the Middle East. Mr. Bouhafa has special expertise working with the Private Sector through social marketing and communication interventions. Mr. Bouhafa is the lead facilitator for many of CDC’s learning events and is also a senior coach to executives including heads of UN agencies, heads of state & government, and resident coordinators of the UN System. He designs and implements learning programmes in the field of communication and development and has worked to design learning events with the United Nations System Staff College including pioneering the “Communication as a reform tool for the UN” series of workshops for senior UN staff. Prior to the founding of CDC, he was a long-serving UN official in UNICEF and a senior specialist with The Johns Hopkins University’s Center for Communication Programmes (CCP) – one of the leading institutions in social marketing and communication for behavior change. While at UNICEF he helped the organization define the concept of Social Mobilization, which has been extensively used as a means of generating support and interest through stakeholders for UNICEF’s programmes, and serving as spokesperson for the organization in many situations including emergencies in West Africa. Mr. Bouhafa is fluent in French, English and Arabic. 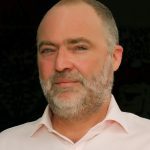 Jean-Frédéric Bernard is a seasoned media trainer who has been working with CDC since 2003. Mr. Bernard has 25 years of journalistic experience in francophone Africa mainly dealing with strategic radio programming. His work with CDC has concentrated on training and advising senior UN officials and private sector managers on how to approach communication strategically. Mr. Bernard successfully directed training workshops in several countries and contributed to the development of effective training curricula. He was the lead facilitator for Prime Minister and Ministers training in Guinea Conakry. Passionate about media and sensitive to democratization and people’s empowerment, Mr. Bernard’s work focused on creating partnerships with local African radio stations, developing co-productions and conducting on-the-job trainings. Mr. Bernard brings a unique background in radio, having directed Radio Caraibes International, the leading radio station in the French West-Indies, and working as a project manager for Swiss Radio International and Radio Netherlands International. He has trained journalists and producers in Africa and the Balkans where he designed and implemented UNHCR-sponsored campaigns targeting refugees through radio and newspaper in Macedonia. He also gained experience with various media environments setting up and running partnerships between international broadcasters and local radio stations. He has relevant field experience in all of Western and Central Africa, the Caribbean, the Balkans, and the Middle East. Mr. Bernard is fluent in French, English, Dutch and Italian. 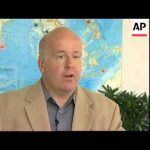 Paul Risley is a communications and media relations professional with broad experience in Asia, Europe, Africa and the United States. With extensive work with the United Nations, and a focus on conflict, crisis, development and humanitarian agency communications, he served most recently as the Senior Communications Officer for the World Bank for South East Asia, including managing communications during the rapid expansion of development assistance in Myanmar 2012-2015. Prior to that, Mr. Risley was the Senior External Relations Officer for the United Nations Economic and Social Commission for Asia and the Pacific (UN ESCAP), the Asia regional arm of the United Nations, located in Bangkok, Thailand. Over the past five years, Mr. Risley has specialized in training and consulting with civil society organizations and development agencies to improve strategic communications and media relations skills; in 2016 and 2017 he taught a series of six-week Communications Courses for Myanmar civil society representatives in Yangon and Mandalay through World Learning, an international development organization with funding from the US Department of State. 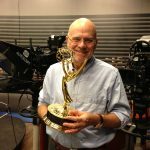 With five Emmy Awards, Mr. Smith has a proven track record of excellence as a television news producer, editor and also educator and trainer. In his 25 year career at CBS News he produced hundreds of reports, ranging from interviews with US presidents to profiles of world-famous musicians, artists, and authors as well as coverage of such issue-driven stories as prison overcrowding, art fraud and climate change. 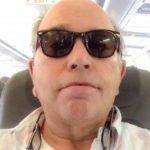 He has produced an independent historical documentary in Vietnam, and news reports in such varied locations as France, Egypt, Jordan, Cuba, Japan and Mexico. Mr. Smith has also taught broadcast news writing , shooting and production in the Kamal Adham Center for Television and Digital Journalism, American University of Cairo, where he was also the Associate Director. He has led production workshops (in French) at the Ecole Superieure des Arts Visuels de Marrakech (ESAV) as well as for such organizations as the League of Arab States and ALTV. As a media trainer, Mr. Smith has worked with the Reuters Foundation and the ILO to help clients prepare for television interviews and media interventions. 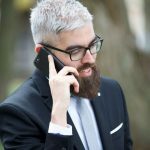 He covers such topics as accurate news writing, effective interviewing techniques, media relations and how to best get your story told. Mr Smith has coached senior officials in a number of countries with UN agencies and the private sector. He is currently a key member of CDC’s team servicing the media training needs of the African Development Bank based in Abidjan. 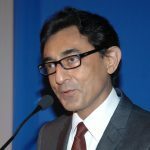 Sunit Tandon is a Senior Coach and key member of CDC’s Asia team having worked on learning events for the World Bank and WFP in Bangkok, ILO in Manila and New Delhi, UNICEF in Pakistan and India, and senior management of Oman Av Airlines in Muscat. He most recently worked (2013) with UNICEF senior managers in New Delhi as part of three person CDC team. He brings more than three decades of extensive experience as a broadcast news anchor on television and in radio journalism. He is one of the most recognized faces on news and current affairs programs in English on Indian television. Aside from most recent roles, Mr. Tandon has special interests in mass media specifically including television, radio, teaching, writing, theatre, music and cinema. He has, at various stages in his career, been a banker, a theatre critic, a western music critic. He has acted in over 150 plays and has directed more than 25 plays, including works by William Shakespeare, Jean Racine, George Bernard Shaw, Noel Coward, Neil Simon and Tom Stoppard, as well as Indian playwrights. In addition, Mr. Tandon has contributed feature articles and book reviews to The Hindustan Times, The Statesman and The Sunday Observer newspapers. He has written western music and theatre criticism for newspapers such as The Statesman, The Sunday Observer and the Indian Express. He also contributes book reviews from time to time for Outlook magazine and the Mail Today daily. Ghanaian-born Osei G Kofi brings his vast experience in Africa and his communication expertise as a Senior Coach for CDC on learning events for diplomats, government officials, international development practitioners and senior managers of the United Nations system. In this role, Mr Kofi has led or co-led strategic communication and media empowerment workshops for decision-makers in Africa, West and Eastern Europe, North America and the Caribbean. Mr Kofi has advised a number of African governments in their international public information campaigns and has coordinated preparations for donors or fund raising conferences. He is a trainer in social marketing, social mobilization and public information drives to support country and regional development strategies. For years he was a member of UNICEF’s international public affairs team in Sub-Saharan Africa that designed and implemented a series of global initiatives, including the Child Survival and Development Revolution, Convention on the Rights of the Child, Roll Back Malaria, The Girl Child Education, Facts for Life, and Control of the HIV & AIDS pandemic. Prior to working with the UN, Mr. Kofi was a foreign correspondent and senior editor for a number of media houses including the Reuters News Agency. He has expertise in press liaison, trouble-shooting and information management in situations of armed conflict, natural disasters and other emergencies. He has worked in many of Africa’s hot spots, including Angola, Burundi, the DRC, Eritrea, Ethiopia, Mozambique, Rwanda, Somalia and southern Sudan. Mr. Kofi is fluent in English, French, Portuguese and some of Ghana’s dozen-plus languages. Abdel Hamid Abdeljaber (Senior Coach) comes to CDC with over 25 years experience in the United Nations, more than half of which has been spent dealing with the press for news, communication and public information related to the Middle East and North Africa. Since 1997, he was Chief of Arabic Radio Unit and News Centre in the Department of Public Information (DPI) www.un.org/news/arabic. He also served as Deputy Spokesman for the Special Representative of the Secretary-General (SRSG) for Iraq-Baghdad, the late Sergio Vieira de Mello. When the UN Headquarters was attacked, he was designated the liaison officer with Iraqi journalists and created the “Iraqi Media Centre” designed to train Iraqi journalists. Zied Mhirsi is a Tunisian global health professional. He hosted the only show that brought the voice of the Tunisian blogosphere to the air under the dictatorship. A blogger himself (zizoufromdjerba.com) for more than 6 years with 1000s of posts he participated to several civil organizations in various positions (Tunisian HIV association / Tunisian medical students association/Tunisian American Young Professionals/ LIONS clubs…). Since the revolution Zied has worked extensively with English Speaking Media analyzing the post revolution political situation, intervening on shows and helping media outlets producing stories, documentaries and other shows . He worked for instance with CNN, CBS news / 60 minutes, BBC, Aljazeera English, Australia Ch 9, ETV South Africa. In March 2011, Zied Mhirsi co-founded Tunisia Live. The first Tunisian English-speaking news website. He was featured by CNN, AJE and 60 Minutes. 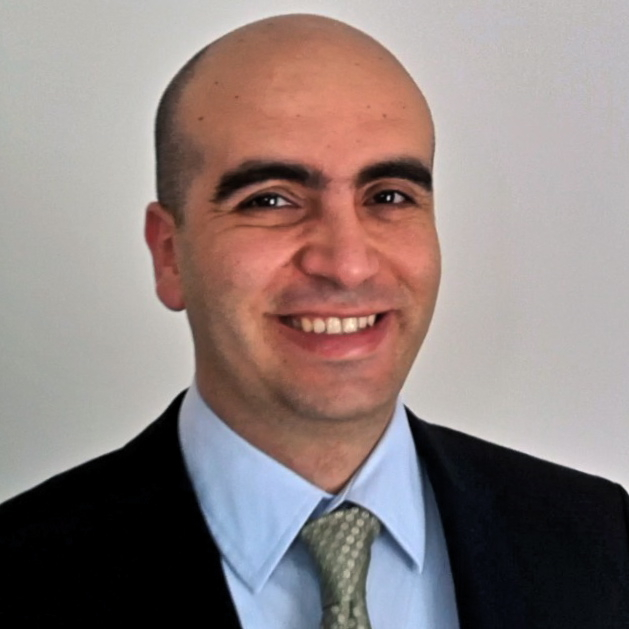 Zied is a medical doctor and holds 2 masters in Public Health from the American University of Beirut and the University of Washington. He is a Fulbright Alumni, faculty at the University of Washington and visited more than 40 countries. He was selected in 2006 a UN Global Youth Leader and in 2012 to be a Tutu fellow. He is married to the American Indie Singer songwriter Kesang Marstrand and has an extensive experience in the music business. Uduak Amimo is a communication consultant, journalism and media trainer, and coach. Her name and voice are well-known across African and Kenyan airwaves. She has worked in Kenya, the US, the UK, Ghana, Ethiopia and Nigeria. Her career in journalism started in 1997 and includes roles across radio and television with, the Voice of America and the BBC World Service. 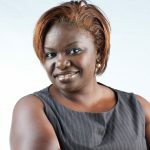 After returning to Kenya in 2011, she hosted Cheche, the country’s most watched current affairs discussion show, on the leading television station, Citizen TV. 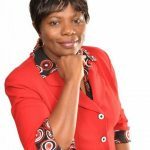 She was one of the moderators of Kenya’s first, live, televised presidential debates during the general election of 2013. 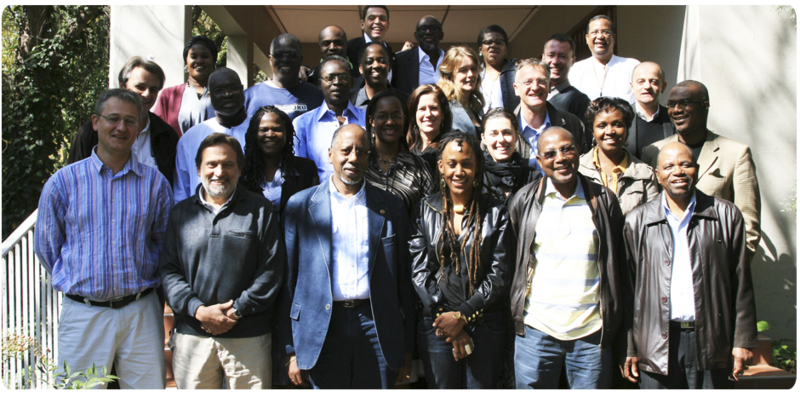 Uduak has worked with CDC on learning events in Ethiopia and Kenya. Stella Kihara (Coach) has over 12 years experience in development communications and has worked in the fields of agriculture, conservation, health, and other social economic fields. Some of the programs she has worked on span the African continent, including South Africa, Rwanda, Ethiopia, Ghana, Nigeria, Rwanda, Kenya, Uganda, Tanzania, and Malawi, among others. Some of the other key organizations that Stella has previously worked for include the Alliance for a Green Revolution in Africa, World Bank, USAID supported programs in health and agriculture, Terre De Hommes, ACDI/VOCA and World Vision, among others. She has led and also worked as part of national and international teams to develop organizational communication strategies for key World Bank funded programs in Africa which include Communications strategy to promote Public Private Partnership in Health Service delivery in Africa, Africa Stockpile Program and the Arid Lands Resource Management Program. As a trainer, Stella has build capacity of scientists, technical staff and other program staff in media and communication. Some of the trainings have yielded TOT training modules. She has a strong professional and academic background in communications. 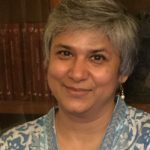 Kiran Negi is a seasoned and well-rounded communications specialist with over 20 years experience in development communications. As a consultant she has worked as a communications specialists in the field of Health, Nutrition, Education, Water and Sanitation, Child Rights, Gender, and Infrastructure. Some of the programs she has worked on span the African continent, and South Asia including Liberia, Ghana, India, Bangladesh, Bhutan, Maldives and Nepal among others. She has both strategic and hands on tactical experience as an implementer of communications strategies. These include experience working with national and international media to raise critical issues for policy and public information; writing and producing communications materials, writing press releases, organizing press conferences, directing audio and visual documentation, documenting best stories, planning and carrying out advocacy and awareness campaigns and working with radio in India for public information programs. Kiran has previously worked for include the UN Women, UNDP, UNFPA, World Bank and UNICEF; corporate sector like Discovery Communications; and having serviced clients like Ericsson, Intel, NCR, Apple, Qualcomm, ESPN, Citibank, National Geographic, Air France and Kellogg’s while working with PR agencies like Burson Marstellar and Genesis PR. Tania is a twenty year plus veteran journalist who is currently a senior correspondent with the Lebanese Broadcasting Corporation (LBC) one of the Middle East’s premier satellite channels. She was also a correspondent for CNN’s World Report and received an award in 1994 for her coverage. She has been recognized for her coverage of some of the region’s main news events including the Iraq war; the conflict in South Lebanon; and the July war in Lebanon. She has also been assigned to cover news stories in Jordan, Morocco, Syria, France, Italy, UK, Bulgaria, Poland, Russia, Canada, USA, Mexico, Ghana, Belarus, Brazil, Tunisia, Sudan, and Qatar. She has been a speaker or trainer for many events organized by various United Nations agencies including : Corporate Social Responsibility and Environment Protection, UNDP, Focal Reporter for the UN week (2003-2004): coverage of UN agencies contribution to development and humanitarian activities in Lebanon; UNFPA Y-Peer Program, Muscat, UNDP Environmental crimes on the role of civil society in raising environmental awareness”. She has also been a trainer on investigative journalism, and a speaker at major regional conferences such as the Arab Women’s Forum on Armed Conflicts; Young people and the Media Seminar, Swedish Institute; “Women, Media and the Mediterranean” , organized by ANSAMed; Women Rights Conference, Lebanese Council to Resist violence against women, Beirut. Ignasi Centelles is an expert in political and media training services and strategic communications with over 10 years of experience; he has advised a vast array of international organizations and trained professional staff from the UN, World Bank, ILO, UNICEF and European Parliament in HQ and in countries like Kosovo, Syria or Afghanistan. He has coordinated research on Social Media, International outreach campaigns and Strategic Communications with a focus on development issues. Ignasi Centelles graduated from Johns Hopkins’s University with a Master of Compared Social and Public Policies, a program designed and run jointly with Pompeu Fabra University (Barcelona). 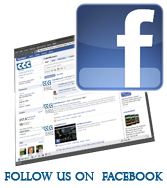 Ignasi Centelles is a member of the European Association of Communication Directors (EACD). Patti Janega has been delivering interactive workshops in a dynamic, challenging and involving style for over twenty years. 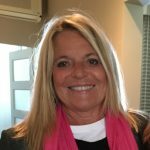 A trainer, learning facilitator and course designer, Patti specializes in designing and implementing learning programmes in Creative Presentation Skills, Train the Trainers, Intercultural Communication & Awareness, and Teambuilding for Multi-National Teams and Workshop Facilitation. Patti has been collaborating with the International Training Centre of the International Labor Organization (ITCILO), the United Nations System Staff College (UNSSC), United Nations Office at Vienna (UNOV), World Food Program (WFP), the United Nations Framework and Convention on Climate Change (UNFCCC) and the Italian Diplomatic Institute. 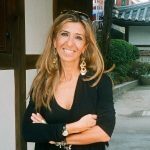 In the past, she was the training advisor for Dow Chemical based in Milan for four years, coordinating and conducting regional and European training programs and projects for field/factory managers and personnel in headquarters and various plants around Italy. Patti has collaborated with CDC on learning events in Turin for UN staff as well as for Italian diplomats since 1998. 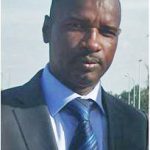 Ibrahima Sékou SOW is an experienced communications specialist with over 10 years of experience in Commercial Marketing and over 20 years of experience in Communication for Development. Mr. Sow has successfully conducted training workshops in communication, advocacy, marketing and branding. He has proven experience in the innovation, production and production of documentaries, messages, visual, radio and audiovisual advertising spots. He is a member of the Advisory Committee for Crisis Communication of ECOWAS / WAHO, which has designed and implemented a communication strategy on risks in the ECOWAS region. A native of Guinea Mr. Sow has worked with CDC on learning events in West Africa. He has both strategic and practical experience in building BCC capacity, Advocacy and the implementation of communication strategies. These include experience working with national and international media to raise critical issues in public policy and public information; write and produce communication materials and materials, write press releases, hold press conferences, conduct audio-visual documentation, plan, organize and conduct advocacy, social mobilization, resource mobilization and awareness campaigns.